This is one of the first recipes I copied in my original notebook upon moving out of my parents’ house. It still works wonders. I added cinnamon hearts with the marshmallows in this photo for a Valentine’s Day presentation! Melt the chocolate and butter over low heat in a small saucepan, stirring often. (If using cocoa, sift it into the pan over the butter.) Set aside to cool. Preheat oven to 350F/175C and grease and flour an 8 inch/18 cm square pan. Combine flour, salt, baking powder and cinnamon if you are including it, into a medium bowl. Beat eggs in a mixer bowl. Gradually add sugar while beating and blend till frothy. Pour in cooled chocolate mixture and and vanilla, and continue to beat till blended. Next add in flour mixture and beat just until blended, being sure to scrape the edges before a final beating. Fold in nuts. Pour batter into pan and bake for 25-30 mn or until sides begin to pull away from pan. Cake will be dense but should not be liquid in the middle. Brownies can be covered with a chocolate ganache glaze, or regular chocolate icing, or even just dusted with icing sugar. 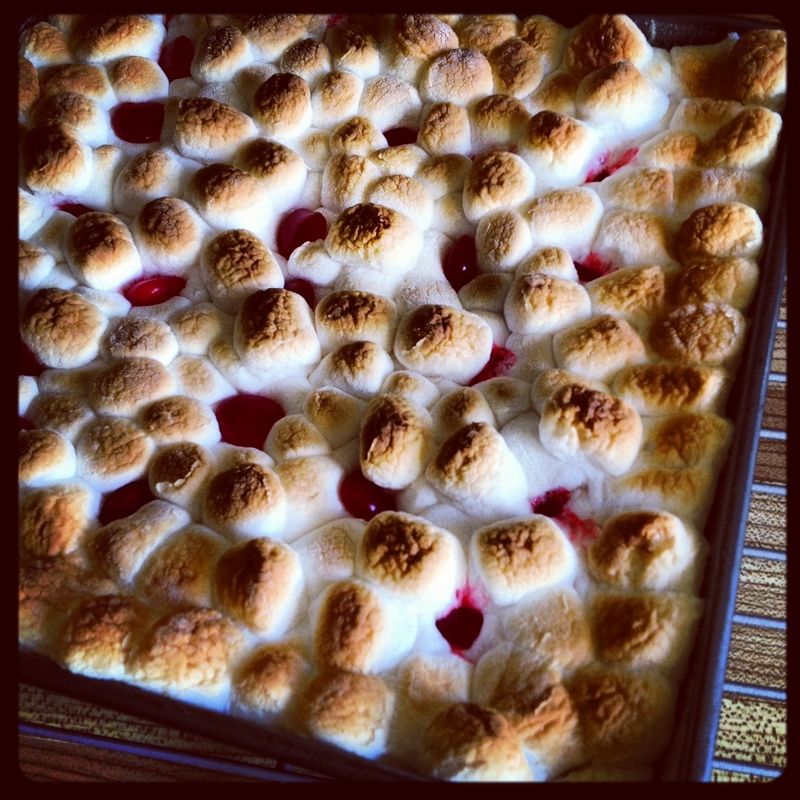 For added fun, cover top with miniature marshmallows and broil just until golden brown (approx. 2 mn). Run knife under hot water before cutting to serve.